NEW YORK (AP) — Seven films in, the DC Extended Universe is finally flying with some wind behind its back. 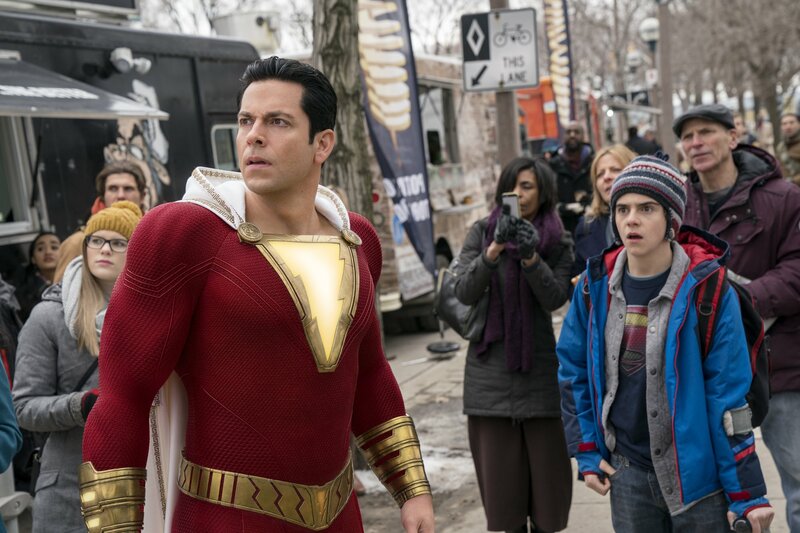 The well-reviewed, relatively modestly budgeted “Shazam!” debuted with $53.5 million in ticket sales over the weekend, according to studio estimates Sunday, handing DC its latest critical and box-office success. Pitched as ”‘Big’ meets Superman,’” “Shazam!” stars Asher Angel as Billy Batson, a teenage foster kid who transforms into an adult superhero (played by Zachary Levi). But expectations grew based on reviews (91% fresh on Rotten Tomatoes) and audience reaction (an “A″ Cinemascore). The PG-13-rated film attracted an especially young crowd; 45% were under 25. The result further validated DC’s pivot following the disappointments of Zack Snyder’s “Batman v Superman” and David Ayer’s “Suicide Squad.” Warner Bros. has since steered its comic book adaptions in a different direction, leaning more on stand-alone entries less predicated on the overall “universe” and more fluctuating in tone. Following “Wonder Woman” and “Aquaman,” ″Shazam!” makes it three in a row for DC superhero standalones.